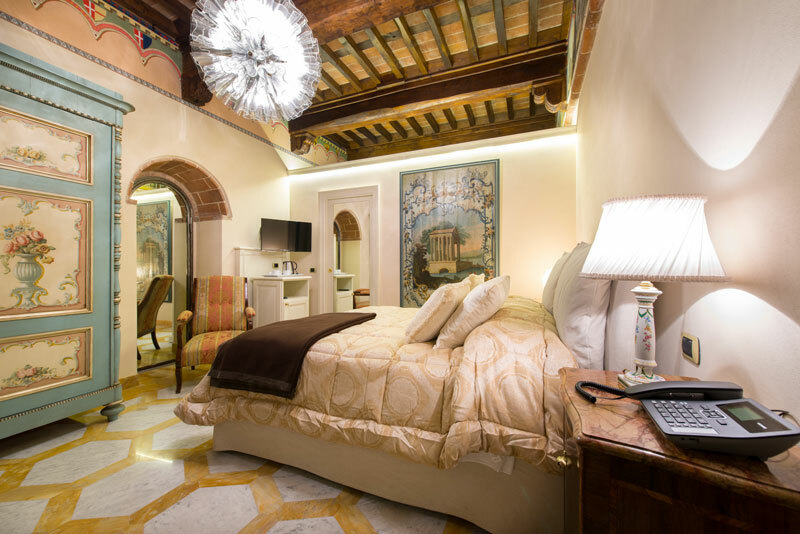 Deluxe room with its 24,93 sq.mt large is characterized for its antique furniture and designs. : Furnished with closets precious wood tables and curtains in a rich fabrics. 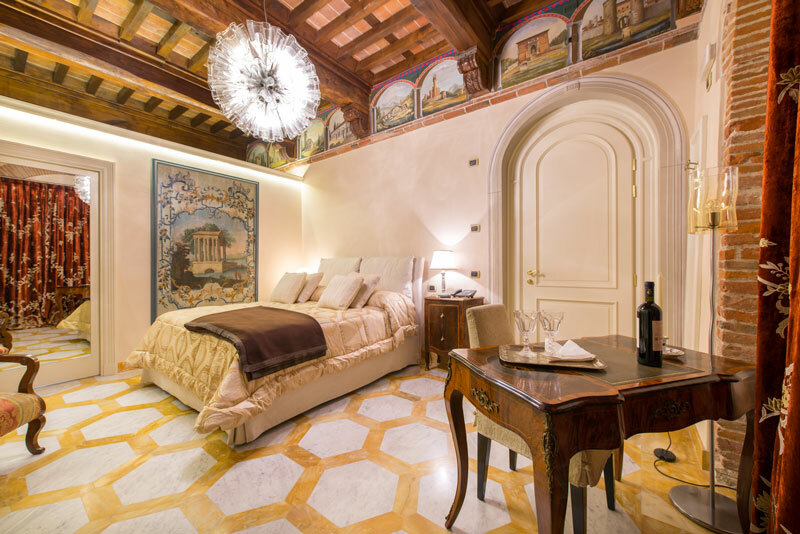 Composed with a Queen size bed, an antique sofa , a bathroom with a large marble shower. 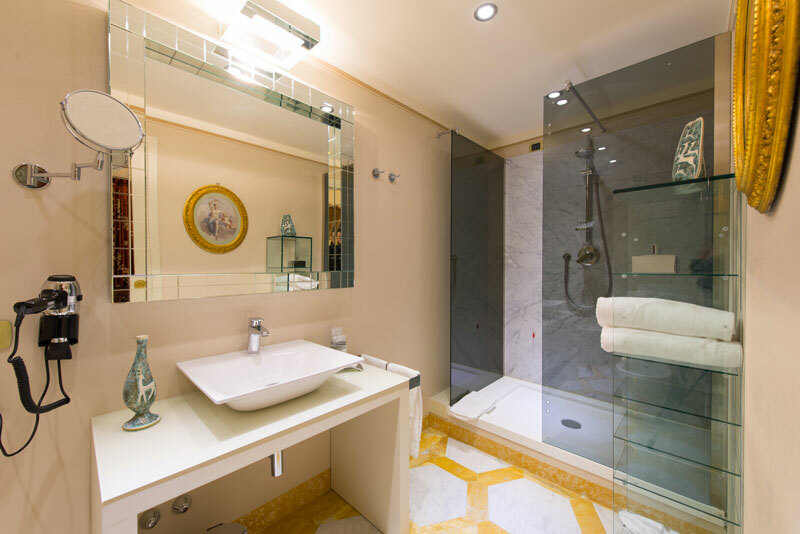 The Tosca offers high resolution LCD TV with satellite channels, air conditioning and heating, telephone, mini-bar and safe, wireless Internet access high- speed, hair dryer, bathrobe and slippers.